Aziza Project LLC, is a fund that tokenizes high potential oil and gas businesses in Africa, enabling them to raise funds for profit and social good. 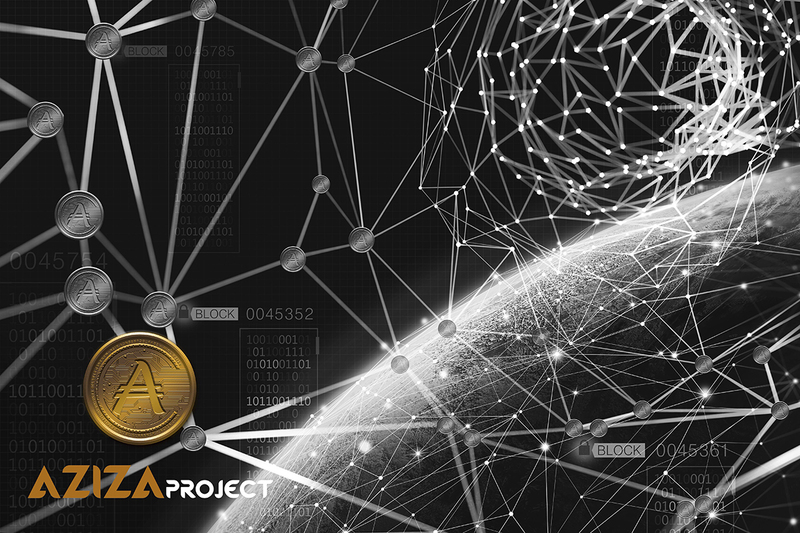 Aziza Project and its tokenization approach aims to address the obstacles associated with traditional fundraising by taking advantage of the benefits of blockchain technology to eliminate the cost and need for middlemen and complex administration. Aziza Project’s token, the Aziza Coin, is an asset-backed mid-to-long-term security token. The vision for Aziza Project’s primary business is to light up Africa, bringing electricity to the 630 million people who currently have no access to the grid and typically depend on wood and paraffin for their energy needs, and in the process to deliver excellent returns to investors. Through Aziza Coin, Aziza Project owns 20% of Africa New Energies (ANE), which holds rights to a 22,000-square-kilometer prospective hydrocarbon concession in Namibia. This potentially world-scale oil and gas deposit in eastern Namibia, bordering Botswana and the Kalahari Desert, could transform the region’s energy supply and provide a powerful boost to growth in Namibia. By using big data algorithms, the ANE project will be developed at a fraction of the cost of traditional methods. In 2017 ANE rejected a $500 million unsolicited bid in the belief that this prime asset can deliver far more for investors, the local community and the people of Africa. The bid rejection has been superseded by an innovative fundraising model to unlock the value that ANE data indicates is under the ground. This sparked the genesis of Aziza Project, the creation of an oil and gas fund set up to raise capital to take ANE and other high potential oil and gas businesses to the next level smartly and efficiently. Aziza Project is seeking to raise $60 million through the sale of Aziza Coins, an asset-backed security token compliant with the Ethereum blockchain’s ERC20 standard. The asset, a 20 percent interest in ANE, is estimated to be worth $100 million based on the value of the unsolicited bid. Funding raised by the Aziza Coin Initial Coin Offering, which began in October 2018, will be used to finance a 10 well drilling program for ANE’s Namibian concession and to develop an oil and gas fund. Proving a hydrocarbon resource will result in significant value creation for Aziza Coin holders. Proving of the project’s estimated 1.6 billion barrels of oil equivalent resource could value ANE at $3.1 billion, which would result in Aziza Project’s holding to potentially be worth up to $620 million. The Aziza Coin seeks to create significant investor value that marries a compelling business case with the efficiency of crypto. People who buy Aziza Coins will have an indirect fractional ownership of the assets held by Aziza Project. And with tokens listed on exchanges, investors will have a degree of liquidity that private company shareholders do not have and with greater access to real returns. Aziza Coin token holders are the sole economic beneficiaries of Aziza Project’s investments and are assured that at least 51 percent of funds will be used to buy back tokens anytime a profit is made in a calendar year. Typical investment funds charge a myriad of fees and administrative charges. These will not be present within Aziza Project LLC, with no annual fees, exit fees or salary expenses. The vision is to get as much of the investor’s dollar into the assets under management, and then on exit get as much of the asset value back to the investor. Aziza Project believes that tokenization of assets and securities is the future. Distributed ledger technology will be the catalyst for the benefit of both investors and businesses forging their way. The Aziza Coin ICO is different because its management team is very clear on valuations and laser-focused on the broader objective established by Aziza Project. The Aziza Coin is an asset-backed security token with a strong management team grounded in blue-chip corporate backgrounds and established real-world businesses. CEO Robert Pyke has a professional background that covers consumer goods, consultancy and now cryptocurrency. Much of his career was spent at Unilever where he worked in a variety of finance roles, rising to become finance director for Unilever’s €20bn turnover Beauty and Personal Care division. Aziza Project co-founder Shakes Motsilili has an Investments Administration background and worked for several years at Momentum Wealth as head of Actuarial Support. He resigned in 2012 to become an entrepreneur with a vision to electrify the whole of Africa. Brendon Raw, CTO, is a South Africa-based software developer and investor in the energy technology, property and digital media sectors. Brendon was lead developer on the sales and revenue system of the one of the most valuable internet companies of its day – excite@home and was BP’s tactical application developer, creating several mission-critical commodity trading systems. Aziza Project – and by default the Aziza Coin – will own equity in several oil and gas businesses including 20% of Africa New Energies (ANE). This translates to a valuation of $100 million based on a bid that ANE rejected in 2017 and could go as high as $620 million. $11 million has been raised by ANE through crowdfunding initiatives to explore for hydrocarbons in Namibia. ANE holds a petroleum exploration license (PEL68), or concession, on Namibia’s eastern border. ANE has identified both the presence of oil and gas in the licensed project area. The Aziza Coin is a security token and not a utility token. This is accomplished through compliance with Aziza Project’s smart contract functionality as well as navigation of securities legislation in multiple jurisdictions. Aziza Project is a long-term project with a commitment to invest in and nurture the types of businesses it supports, and the communities involved. The concession is conveniently located near roadways and rail infrastructure, linking it to major South African and Namibian towns and ports. Aziza Project is an ethics-based business with established values and clarity of purpose. Transparency is essential with management committed to retaining a high level of communication with coin holders. The Aziza Coin looks to provide liquidity for the coin through secondary markets where investors get real-time pricing based on development of the ANE project. Various decentralized exchange options are being explored for optimal liquidity. Aziza Project is compliant with current U.S. federal regulations for Know Your Customer (KYC), Anti Money Laundering (AML) and Combating the Financing of Terrorism (CFT).